You've found us- Chicago's only Black & White Community Darkroom! We are a membership-based non-profit. Sign up for a MEMBERSHIP and complete two orientations and enjoy 24 hour access! We offer a variety of classes covering beginner to advanced darkroom techniques. For those who aren't members, join us for our weekly PRINT OUT open house on Wednesdays from 7-10pm. Unlimited usage upon completion of two orientations (included in membership fee). All standard chemicals for developing film and processing prints. Members supply their own paper. There is no contract. We do send a notice with a $5 off renewal discount prior to the end of your 30 days. You have the option of renewing online to continue your membership. You can do nothing, or rejoin us at a later time. Email us at info@chicagocommunitydarkroom.org to schedule your orientation sessions. Orientations are usually held on Wednesday at 5:00pm, Thursdays at 7:00pm or Fridays at 7:00pm. Confirm availability 24-48 hours in advance. PAY ONLINE FOR A MEMBERSHIP HERE. Join us for a hands-on lesson in how to develop your very own roll of B+W film. If you've had laying around undeveloped, or have always been curious to take out that old camera, now's the chance to learn how to get your hands dirty and develop your own film! Join us for Printing 101, a class catered to those who have the interest, but maybe not the skills, to bring photographs to life. 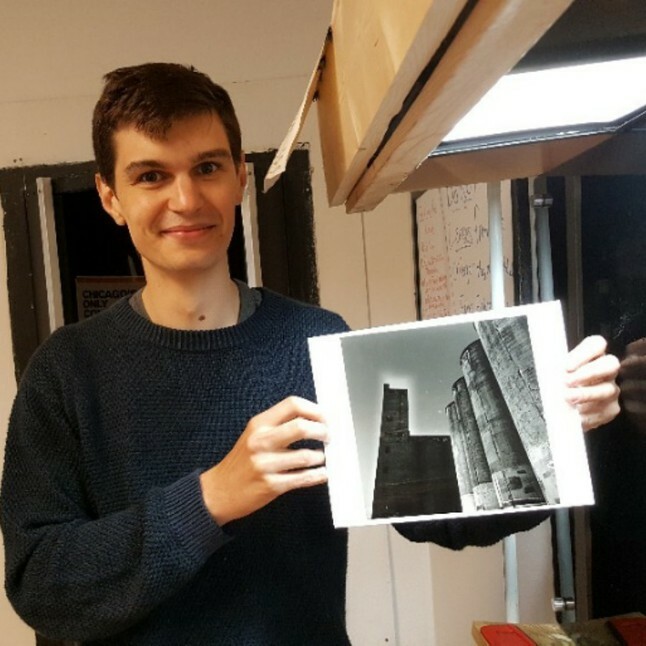 We will show you how to print your black and white negatives onto emulsion paper, from start to finish. Topics include photographic chemistry, contact sheets, when and why to use test strips, and techniques to help you get a print you can be proud of. Photographic paper will be provided, however we encourage you to bring in your own negatives to print from.